International Film Competition Festival chooses Nathan East: For the Record as the Best Film for 2015. 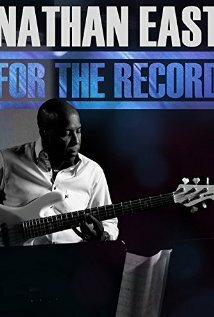 Nathan East: For the Record is directed by Chris Gero; a famous producer who is once nominated for Grammy. This documentary film takes viewers behind-the-scenes of the life of one of the most influential bass players in modern music recorded his debut solo album last year. His long-awaited solo album (released in March) spent four weeks at #1 on Billboard's Contemporary Jazz Album chart and 34 weeks in the top position on smoothjazz.com. IFCOM also gives award of International Special Jury Awards for the Ensemble of Cast to: Eric Clapton, Quincy Jones III, Phil Collins, Lionel Richie, Kenny Loggins, Vince Gill, David Foster, Don Was, Dave Koz, Richard Marx, Al Jarreau, Lee Ritenour, Kenneth 'Babyface' Edmonds, Sara Bareilles, dan Patti Austin. International Special Jury Awards were given to Frankie Faison, Nathan East and Robin Shou.